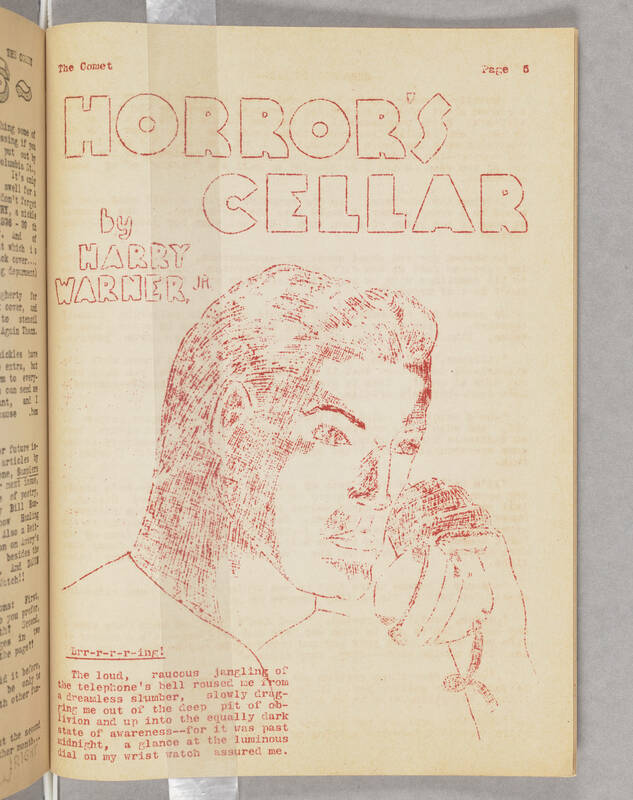 The Comet Page 5 HORROR'S CELLAR by HARRY WARNER, JR. [[underline]]Brr-r-r-r-ing! [[end underline]] The loud, raucous jangling of the telephone's bell roused me from a dreamless slumber, slowly dragging me out of the deep pit of oblivion and up into the equally dark state of awareness--for it was past midnight, a glance at the luminous dial on my wrist watch assured me.